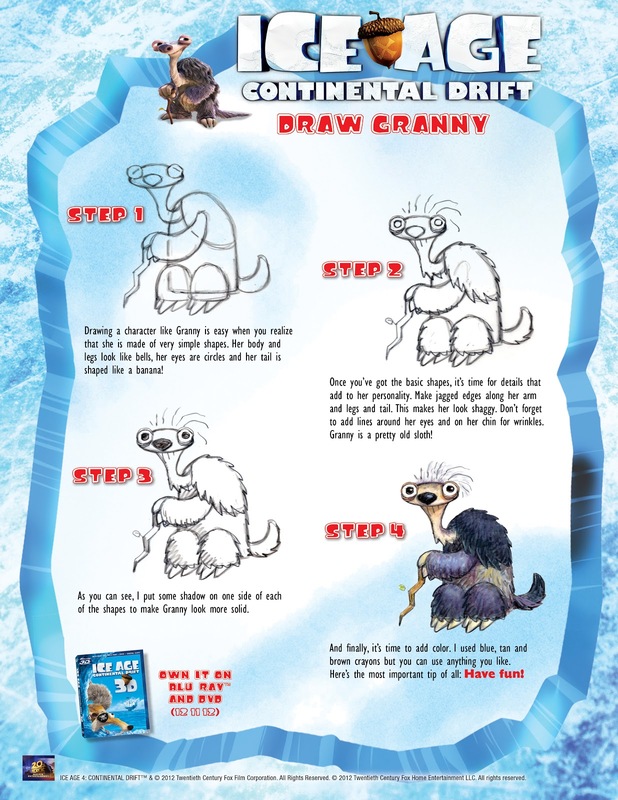 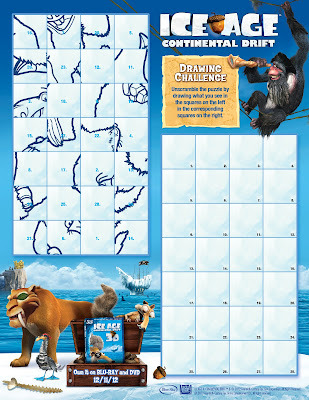 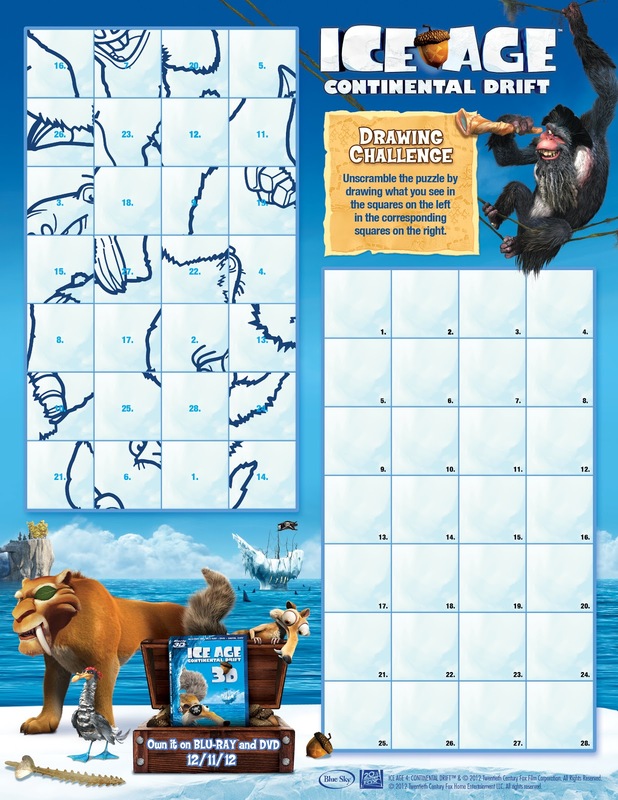 Ice Age Ecard, Activity Sheets and More! 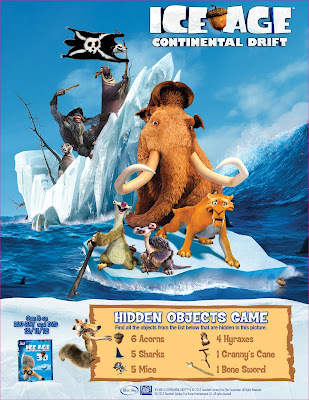 Ice Age: Continental Drift will be releasing on special 3D and Digital Download formats, and this feature will aim to be an informative guide for parents on the advantages of utilizing these new formats with their families. 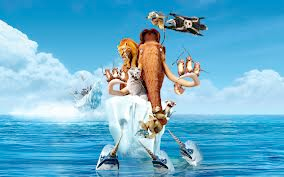 We'll discuss benefits such as the stunning visuals on the 3D version, and easy viewing access on any iPad or tablet. 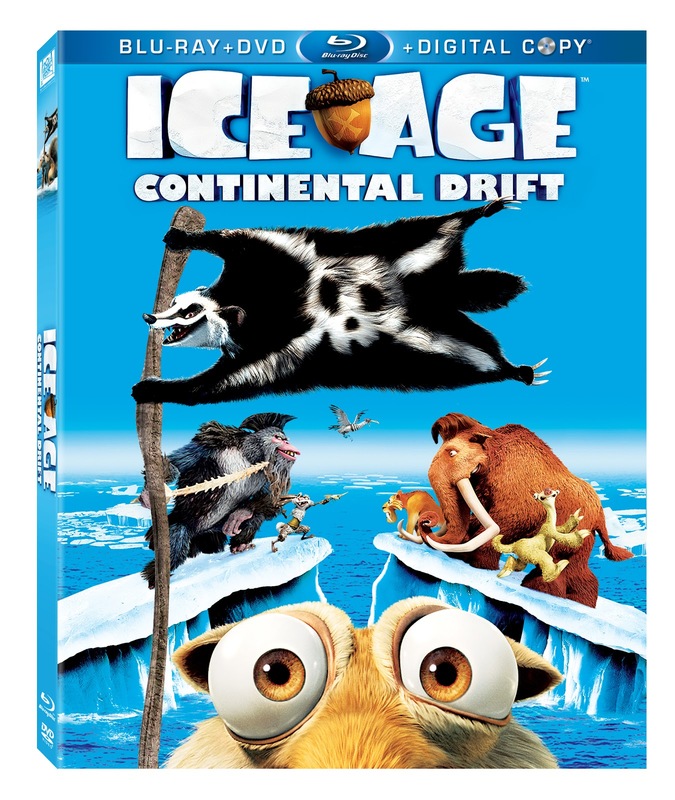 The special 3D format for Blu-ray provides the highest quality images out of any other 3D format on the market. It comes in the specific format known as “format packing” in which the original content does not lose resolution when viewed in 3D. 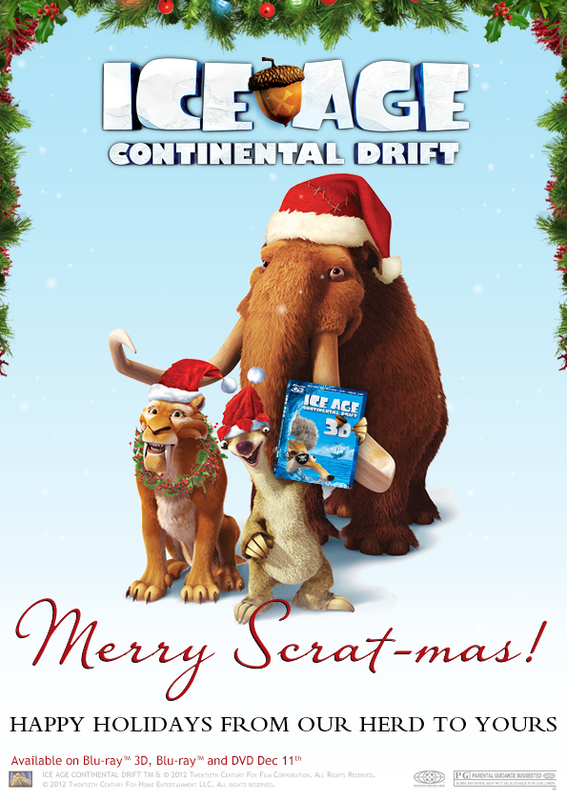 To celebrate the release, we have a brand new holiday ecard wishing you and your family a very merry Scratmas, in addition to some activity sheets for you and the kids to enjoy!